Hi Everyone! Hope you had a fantastic Mother's Day! We had a nice, fairly relaxing day. And yay! No cooking! So first I have some winners to announce. The winner of THE 5TH WAVE is Rin! The winner of SEEDS OF REBELLION is Barbara Watson! The winner of THE AWESOME ALMOST 100% TRUE ADVENTURES OF MATT & CRAZ is Akoss! The winner of SPELLCASTER is Gwen Gardner! The winner of THE BOOK OF BROKEN HEARTS is Stephanie Garber! The winner of THE HUNT is Kim Beck! The winner of BAD UNICORN is Jocelyn Rish! The winner of RIGHT OF WAY is Kim Van Sickler! Congrats to the winners! E-mail me your addresses so I can send you your books. Please e-mail me by the end of Wednesday or I'll have to pick another winner. Today I’m thrilled to have Kelley Armstrong here to talk about her new middle grade novel, LOKI’S WOLVES, which she co-wrote with Melissa Marr. It was released on May 7, 2013. Kelley is also the author of THE DARKEST POWERS and WOMEN OF THE OTHERWORLD adult series and DARKNESS RISING, a YA paranormal series. Melissa Marr is best known for her WICKED LOVELY series. I met Kelley at a book signing for the first book in her DARKNESS RISING series. She is such a nice person and incredibly giving to her fans. I loved the Norse mythology in LOKI’S WOLVES. And it was fun watching Matt pair up with Finn and Laurie in his quest to save the world. This was a very fast read and I think it’ll appeal to kids who loved the Percy Jackson series. I can’t wait to read book 2 in the series. can stop. When this apocalypse happens, the gods must battle the monsters--wolves the size of the sun, serpents that span the seabeds, all bent on destroying the world. The gods died a long time ago. Matt Thorsen knows every Norse myth, saga, and god as if it was family history--because it is family history. Most people in the modern-day town of Blackwell, South Dakota, in fact, are direct descendants of either Thor or Loki, including Matt's classmates Fen and Laurie Brekke. However, knowing the legends and completely believing them are two different things. When the rune readers reveal that Ragnarok is coming and kids--led by Matt--will stand in for the gods in the final battle, he can hardly believe it. Matt, Laurie, and Fen's lives will never be the same as they race to put together an unstoppable team to prevent the end of the world. Hi Kelley. Thanks so much for joining us. 1. For those who don’t know you, tell us a bit about yourself and how your writing career evolved into your amazing full-time job. The bio has gotten unwieldy lately, as I transition into new series! I’m the author of the recently completed "Otherworld" urban fantasy series and "Darkest Powers/Darkness Rising" young adult urban fantasy series, as well as the almost completed Nadia Stafford crime series. I’m starting another adult series (Cainsville) this summer, as well as the middle-grade, Blackwell Pages, as you mentioned. I grew up in Southwestern Ontario, where I still live with my family. I’m a former computer programmer. Growing up, I never thought 'writer' was a valid career choice. My parents fully supported it as a hobby, but didn't think it was something you should plan to make a living at (and considering how hard it is to do that, I’m grateful that they encouraged me to get a “real job”.) I went to university for psychology. As I was preparing for graduate school, though, I realized I was heading into a career that would leave me no time to pursue a dream of publication. So I switched gears and went into computer programming, which gave me a 9-to-5 job that paid the bills while I took writing courses, joined writing groups and worked at improving my craft. I sold my first novel, Bitten, in 1999 and started writing full-time in 2002. 2. That’s such an amazing story. I think we’d all wish to switch from having two careers to writing full time in such a short period of time. How did you and Melissa Marr team up to write LOKI’S WOLVES and what inspired you to write this story? Melissa and I both have teenage daughters, and we connected through that—our daughters each enjoyed the other’s YA books. We also both have preteen sons who wanted us to write something “for them.” We both read and enjoy middle-grade fantasy so we decided to explore that. that Melissa wrote the chapters from Laurie’s and Fen’s point of view. I know this is a common way authors collaborate in writing a book. But there’s so much more to getting the plot twists and character arcs right. What else was involved in writing this together so it didn’t seem like it was two authors writing the story? We did literally write it together—in the same house. That really helped. We could write, edit and plot together. One advantage of splitting the POV is that (we hope) any difference in our writing voice can be attributed to differences in character voice instead. 4. That must have been cool to write together like that. And I’m guessing that in depth plotting and collaborating is required for co-written books even if you can’t write together. What did you find different in writing from Matt’s middle grader point of view versus the adult and young adult characters’ POV you’ve written from in the past? 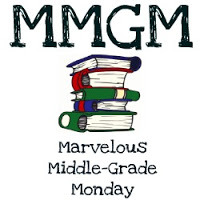 Do you have any tips on getting the middle grade point of view right? It really helps that I have boys that age, and on weekends, the number of preteen guys in our house usually doubles, with friends over. As I learned when writing YA, it’s something to be aware of, but not stress over. I read passages out loud and think “Can I imagine those words coming from an 11/12/13 year old?” If I can’t, I tweak it. 5. Funny about all the tween boys on the weekends. I loved that this was based on Norse mythology centering on Odin and Loki. What research did you and Melissa do to get the mythology right and how do you recommend aspiring authors tackle researching mythology? We’re both well-versed in the myths, so we only needed to do more in-depth study to add to that—reference books, journal articles, the sagas etc. For anyone tackling myth, definitely hit the basic mythology books if you don’t know the stories, but you need to go beyond that and dig deeper to catch nuances, themes and so on. 6. One of my favorite characters was Laurie, who had to fight to not be sheltered by her overprotective cousin, Fen. Why did Melissa and you choose to have her struggle with this as part of her story? She’s Melissa’s character, so I would defer that question to her. We certainly discussed character development together, but the person “in charge” of that character made the major choices and is the best one to answer why those choices were made. 7. Okay. I do remember from the podcast that Melissa said she wanted to explore gender roles. Both Melissa and you chose to use your initials rather than your first names, which might have made LOKI’S WOLVES more recognizable as your books. Why did you decide that? We both write adult and YA (in Melissa’s case, her YA is aimed at older teens.) We used our initials so we don’t get middle-grade readers picking up our age-inappropriate books, mistakenly thinking they’re more of the same. 8. That’s true dedication to your fans to possibly sacrifice sales due to both of your name recognition in favor of seeing kids don’t read inappropriate books. I listened to your fabulous podcast with Melissa. So I know neither of you are going on tour right now in part because Melissa just adopted a child. (Big congrats to Melissa as I’m an adoptive mom too!) How are you planning to market this book? I hate to say that I leave marketing to the publishers, because that sounds like I’m abdicating responsibility, but to a large degree, yes, I leave it to them these days. With my adult and YA, I’m active on social media—Twitter, Tumbler, Facebook—but that’s not where most pre-teen readers live. We have a website (which needs more material!) and the publisher is doing an amazing job marketing the book so far, so we’re just here to give them whatever they need. 9. And when you go on tour for book 2 in the series, can I request that you please, please come back to Ann Arbor? That would be so awesome! I’ll mention it to them! 10. What are you working on now? Do you have any plans to write other middle grade series? I’m in a state of flux right now, as I mentioned—ending series and starting new ones. It’s a little chaotic, so I don’t have plans to start anything new that isn’t already underway. Right now, I’m finishing book 2 of my new YA series (Age of Legends.) Book 1 (Sea of Shadows) doesn’t come out until April 2014, but I work well ahead of schedule! By the time a book is released, I’m likely working on (if not finished) two books past it in the series. Kelley generously offered an ARC for a giveaway. To enter, all you need to do is be a follower (just click the follow button if you’re not a follower) and leave a comment by midnight on May 31st. I’ll announce the winner on June 3rd. If you mention this contest on Twitter, Facebook, or your blog, mention this in the comments and I'll give you an extra entry. You must be 13 or older to enter. International entries are welcome. Tomorrow I’ve got a Tuesday tip by Kathleen Allen and a giveaway of HOW TO BE ALMOST FAMOUS IN TEN DAYS, a contemporary YA novel. On Wednesday I’m doing a post on how I set up author interviews and promote books the way I do. I had a request from a follower to share about this. And I’ll be doing a review and giveaway of REQUIEM by Lauren Oliver and another book by her. I really enjoyed reading from both Lena’s and Hana’s point of view and seeing how the series ended. Next Monday, I’m excited to interview debut author Natalie Whipple about her book, TRANSPARENT. It’s about Fiona, invisible to the world and herself, in a futurist world, desperately trying to carve out a normal life and escape her dad. I really enjoyed reading about her story and that of her friends who have unique powers too. 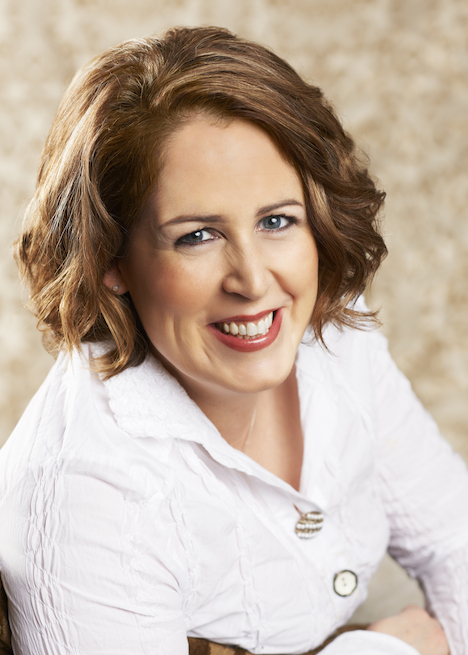 Next Wednesday, I’m interviewing debut author Dorine White about her book, THE EMERALD RING. I really enjoyed learning about the powers of the emerald ring with Sara, a smart middle grader, and her friends. And I found the mythology based on Cleopatra to be unique. And don't forget our Tuesday Tips and Casey's Thursday agent spotlights. Hope to see you tomorrow! Awesome interview! It's always so cool to hear other writers' journeys. I'm looking forward to reading Natalie Whipple's interview. Aaah. Can't wait! I'm a follower, and international. Wow! Im Bryann and from the Philippines. Another good interview and giveaway. I really love to read this book. Another interesting book to add to my list. Okay...what a writing team! SO very glad you two stepped into the middle grade realm. And with Norse Mythology? Can I just say YAY! Thanks for the civeaway. This one sounds like an adventure! Count me in for the giveaway and thanks bunches! Anyway, this looks great. The amazing work ethic on her part to do 2 full-time jobs really and learn and grow...no wonder she's such a successful author. She worked and works really really hard. So exciting to see a MG series coming out. Thanks for giveaway offer. This book looks great. Writing together with another author in the same house sounds like an awesome experience and this collaberation sounds like it produced a really unique and fun title! Congrats to you both and great interview! Great interview :) This sounds like a really fun book, something my niece and nephew might like - and I love Norse mythology! I've wondered about the process of co-authors. So interesting that they really did write the book together - in the same house. Thanks for the giveaway! Love the interview. The book sounds great! I've been a huge fan of Kelly's since her BITTEN days and have followed her through Women of the Otherworld to her teen series. I can't wait to see what she does with co-author! I'm a rabid Kelley fan, as well as my step daughter. Even my hubby read BITTEN because we kept talking about the characters and he felt left out. I was so excited to read this interview. Can't wait to read her next series! OMG!!! I cannot believe these two teamed up together. I just adore both of these lovely ladies!! So eager to read this book. I love reading MG from authors I've enjoyed before. This is a great interview! I've always wondered how authors work together on a book. Terrific interview. This looks like a book both my grandson and I would love to read. Thanks for running the giveaway. Ever since I first heard about this collaboration, I've been dying to read this book! Thanks for the chance to win. The variety of stuff you both write! Cool. And hard. Awesome interview ladies! Looks like a great read! Thanks for sharing her with us. *sharing THIS with us :-) Go Kelly!! Norse mythology is cool! Sounds like a fun book. Cool! And what a great cover!! Ooo, I love Norse mythology!! Congrats on the book release! Loki's Wolves looks very exciting, and I can't believe that Kelley's done so well since she sold her first book in 1999. Yay Kelley! Sounds like a wonderful book for boys and girls. It's fascinating to hear how Melissa and Kelley co-wrote the book! I loved the story of how this book emerged! It's so exciting to hear from an author who is so enthusiastic about writing! That would be awesome to write a book together in the same place - very cool! I woudln't mind trying that with a good fiend :) Can't wait to get this one for my class - I bet it's going to be a popular one! Another wonderful interview. I'm so looking forward to reading this soon as I find Norse mythology so fascinating. I'm a fan of both author's YA books, but I'll have to check this book out for my boys. The oldest is a huge fan of mythology and Percy Jackson. My CP and I once considered co-authoring a book. But that was before I found out what it nightmare it'll be with her living in the US and me living in Canada. I'm always impressed with co-written books. Sounds like a great book and congrats on all the success! Glad you had a great Mother's Day, Natalie! I'm a huge fan of Norse mythology! This book looks so great ~ thanks for the info and fun interview! I loved Norse mythology as a kid (second only to the Greeks) and still do. I love the cover, and the interview was great. Thanks for the giveaway! I've always loved mythology, and I'm glad Armstrong is delving into stories that aren't as widely known as the Greek and Roman ones. Thanks for the giveaway. I'd love to add this to my classroom library once I've finished reading it. I love Kelley Armstrong, she is one of my favourite authors and the mythology element is a plus. Thanks for the chance. 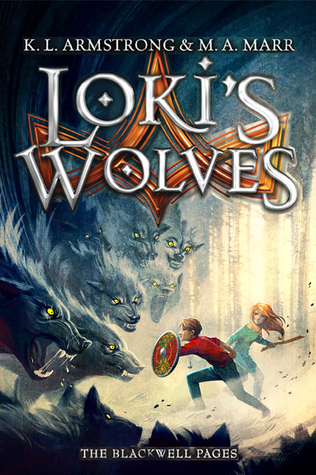 I love the idea of Loki's Wolves, and I LOVE that it's for MG boys. Going now to look up Kelley's other books - they sound awesome! I enjoyed reading the interview, especially about how the authors collaborated. I love this idea. Keeping my fingers crossed for a copy! I will share on Facebook. Great interview! I loved the insight into collaborative writing! Another interesting book to add to my TBR pile. Enjoyed reading the interview. I love Norse mythology! Sounds like a great read. Thanks for sharing. Norse mythology! Yay! Also, beautiful cover. How amazing for your sons that you could write something for them. I love Kelley Armstrong! I started the Women of the Otherworld when they first came out and have been following her every since. She's a wonderful author and all her new ideas are always exciting. I'm so glad she's starting up in yet another new genre! Keep 'em coming! Wow! I love Norse mythology. Don't see nearly enough of it in children's fiction, though. I'm really looking forward to this book! I saw Kelly and Melissa at the Smart Chicks Kick It tour in Halifax, and they got along so well. I'm looking forward to seeing what they do in text! Two of my favourite authors together in Norse Mythology? !